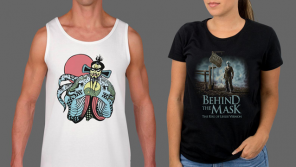 Fright-Rags has explored sour ground to unearth new merchandise from Pet Sematary. All of the nightmarish imagery from the 1989 Stephen King adaptation is represented on four new t-shirts. Sometimes dead is better. Fright-Rags continues its 50th anniversary celebration of Night of the Living Dead with a new t-shirt, two enamel pins, and a pair of socks from George A. Romero’s seminal classic. 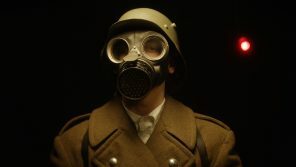 If that wasn’t enough Fright-Rags have also created Dead Neighbors, a short film that imagines what may have inspired Romero as a young boy; featuring a cameo from Night of the Living Dead’s Russell Streiner! Fright-Rags’ Die Hard merchandise will have you saying “Yippee ki-yay!” throughout the holiday season. The explosive collection includes three t-shirts, a pair of socks, and five enamel pins; including one with swinging action, and another with opening elevator doors.